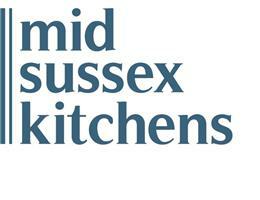 Mid-Sussex Kitchens - Bathrooms, Kitchens based in Burgess Hill, West Sussex. We supply and Install Top Quality Kitchens at Realistic Prices. We have just fitted a lovely new display of Ellerton Chalk in our showroom. Banner Picture above is of our Ellerton Display. We consider ourselves as professional Kitchens fitters, and carry out Carpentry, Electric, Plumbing, Heating and Tiling. Our Showroom isn't open all the time, as I work on site a lot of the time. Please do call me if you wish to visit the showroom and I will be happy to meet you there. I have been fitting kitchens for over 30 years and have a vast understanding of what is possible and what’s not. I started Mid-Sussex Kitchens in 1997 as a small family business and been going strong for over 21 years.